Colonial Cuenca is charming...and owning a historic home here won't break the bank. If you’re dreaming of vacation or retirement destination overseas…where your home comes with crisp, cool air and a verdant green setting…you should consider our top three highland havens below. Cuenca sits at 8,200 feet above sea level, surrounded by the dramatic Andes Mountains, rushing rivers and ancient Inca sites. Downtown Cuenca has cobbled streets, pretty plazas and beautiful colonial buildings. The buildings often look very simple on the outside. But the humble facades conceal elaborate interiors with intricate plasterwork, painted floor tiles and fountains tinkling in spacious courtyards. 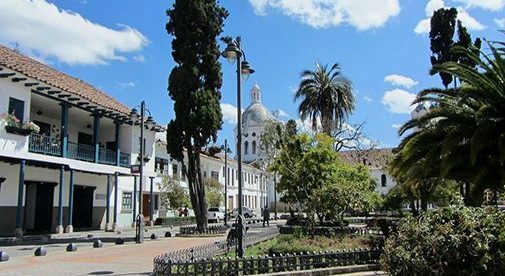 Cuenca is the cultural heart of Ecuador and has a lot to offer expats and visitors. The city hosts around 200 cultural events each year, from opera to jazz to crafts fairs. Many of these are free to the public. With half a million people, Cuenca has most big-city amenities an expat will need such as hospitals to supermarkets. There is also an active expat community in Cuenca. They run all kind of clubs. It’s easy to make friends over a shared interest whether that’s books or chess or hiking. 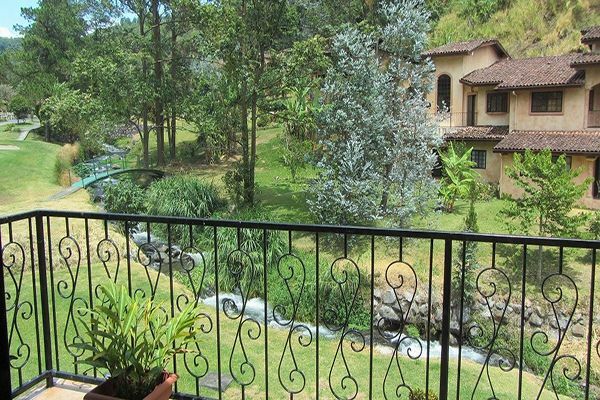 Real estate in Cuenca, even in the historic core, is still affordable. Historic homes here run around half the price of similar historic homes in Panama City or Montevideo, for example. You can buy a 780-square-foot condo for $120,000. It’s got one bedroom, a full bathroom and a powder room. It’s in the heart of the historic district and close to plazas, dining and shopping. The fully-renovated building has two shared terraces, including a large one on the rooftop with great views. The condo is selling fully furnished—you just need your suitcase to move in. Bright blue sky backdrops the spires of a pastel-pink church and the green of the carefully-clipped trees in the main plaza. Buildings in shades of lemon-yellow, tangerine, cobalt and crimson line the cobbled streets. Flowers burst from balconies and courtyards. This town, 170 miles from Mexico’s capital city, has cool, fresh nights and warm, sunny days and average temperatures of 50 F to 80 F.
San Miguel is a vacation retreat for wealthy Mexicans and a popular expat haunt. San Miguel boomed when silver was found in a nearby town. It reached its zenith in the 1750s, when many of the grand mansions you can still see today were built. Then it declined until the late 1930s, when it became an artists’ colony. Today, San Miguel is still artsy with lots of museums and galleries and little stores selling handcrafts (blown glass, carved onyx and textiles). There are hip restaurants…traditional eateries…and chic cafes. Some of the best hot chocolate I’ve ever had (at only 20 pesos for a brimming cup) came from a little hole in the wall place just off the main plaza. 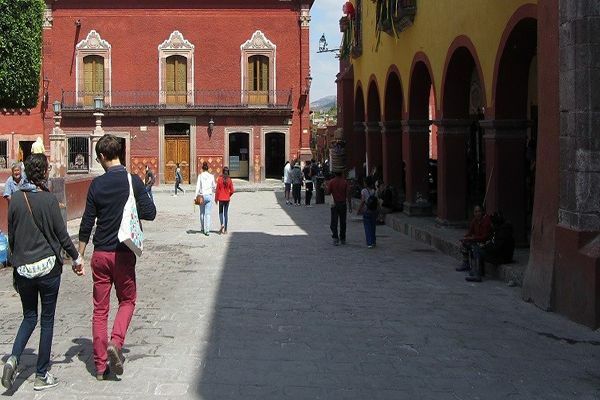 San Miguel is a weekend and vacation retreat for well-heeled Mexicans. It’s an emerging food and wine destination. And it’s a popular wedding venue. But it’s still a nice mix of expats and locals who gather to sit in the main plaza in the fresh evening air, listening to mariachi bands or watching live puppet shows. Homes in the Centro neighborhood of San Miguel don’t come cheap. You’ll pay a million plus for a colonial in the heart of downtown. It becomes more affordable if you move away from Centro. A five-bedroom, 5.5-bath home a seven-minute walk to Centro is currently listed for sale. The remodeled home features marble floors and lots of outside space—plus a separate guest casita. The list price is $769,000. Boquete’s association with foreigners goes back to the 1850s when fortune hunters passed through on their way to California’s gold fields. Some decided to skip the gold fields and set up shop in Boquete instead. They were the pioneers. The other side of Panama: the cool, green highlands town of Boquete. Boquete boasts a spring-like climate. The air here is fresh and crisp. And, there are lots of little micro-climates around town, with some areas warmer or drier than others. The landscape is a mix of green mountains, rolling meadows, forests and rivers. This region is known as Panama’s breadbasket. It produces some of the world’s best coffee and tangy little strawberries that are best eaten with a dollop of fresh local cream. Boquete is a 30-minute drive to the much larger city of David, where you’ll find major supermarkets, hardware stores, a hospital and an airport. Boquete itself has smaller but well-stocked supermarkets and a very nice choice of restaurants and cafés. I recommend a visit to the Sugar and Spice bakery—it’s got great coffee, delicious salad plates and tempting cakes and pastries. With heavy exposure to North American buyers, the real estate market in Boquete went soft in 2007/2008. That slowdown pushed developers into offering more affordable homes and lots. Re-sales are another good option. Expats who are leaving will often want to sell their home fully furnished…sometimes with a car thrown in. Outside Boquete a spacious two-bedroom single-family home has amazing mountain views; a kitchen with an island, hardwood cabinetry, and granite counters; a big master bedroom with its own bathroom and walk-in closet; a sun room; and a garage/workshop with its own full bath. There is also a grill deck and covered terrace. The asking price is $299,990—which includes all the furniture and even a car. Boquete hosts jazz, flower and coffee festivals. You can hike, play golf, white water raft, bird watch, soak in hot springs or take a coffee tour.